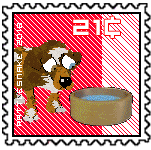 - Here I will post the stamps that I collect from others. - Anyone is free to reply here. Total Number of Stamps: ?? 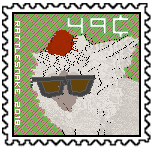 Stamp by Arie that was located while looking for stamps during the WW 4th Anniversary Event.